Who doesn't love a free level up?! 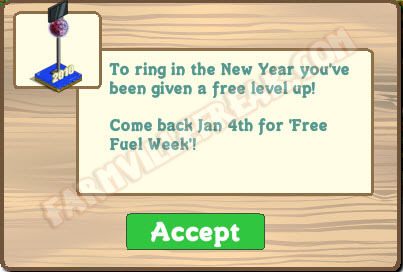 The New Year's Ball Drop, January 1-3, the special prize is a free level up courtesy of FarmVille. And more good news: January 4 kicks of "Free Fuel Week" in FarmVille. 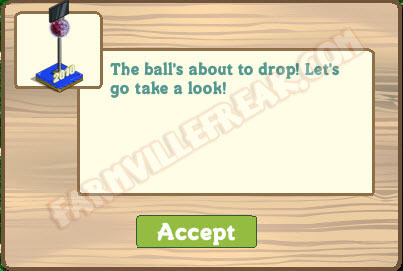 This article reprinted with permission from FarmVille Freak.